Don’t be fooled by the title of this post. Usually when someone says they had a sick day they really mean they didn’t show up to the office and laid in bed. That’s what I should’ve done today, but thought I could plow through the day despite my sore throat and lack of a voice. Now I’m sitting here tonight really tired and just not feeling well. This week is a shorter week because the Josiah Venture family will be together at our training center for two days at a big Thanksgiving event. Lots of missionaries from around Central and Eastern Europe will come and we’ll celebrate together and talk about what we’re thankful for. All the festivities start tomorrow night so I figured I would finish up some work at the JV offices, but alas I should’ve stayed in bed. I guess I did get a few things done today but now I have my first doctor’s appointment in Czech scheduled for tomorrow around 4pm. Hopefully I can get some medicine to help figure out why I have been so sick for a few months now. Despite being sick, Bethany and I had a date night scheduled tonight that we enjoyed together. Our friend Rachael came over and graciously watched our kids for the evening in exchange for some photos I did for her a few weeks back. Bethany and I enjoyed a quiet dinner at a local restaurant near our apartment and drove to a new shopping center to try and get some gifts for Avery’s actual birthday this Saturday. 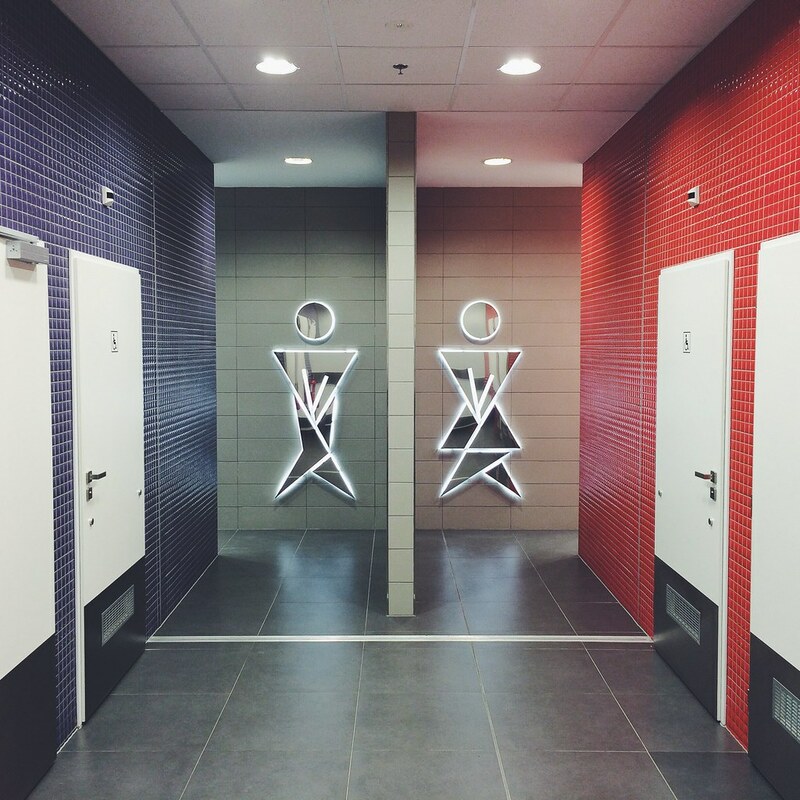 The photo above is of the bathrooms there…so strange. The night went relatively smoothly, but while we were in one of those stores shopping a lady who could speak a little English said to us, “We’re closed.” This after a few minutes of the employees trying to communicate with and us not understanding. We laughed and apologized and out we went. Thankfully we got Avery’s gift purchased before that so we’re excited for her to open something on Saturday when she turns 3. 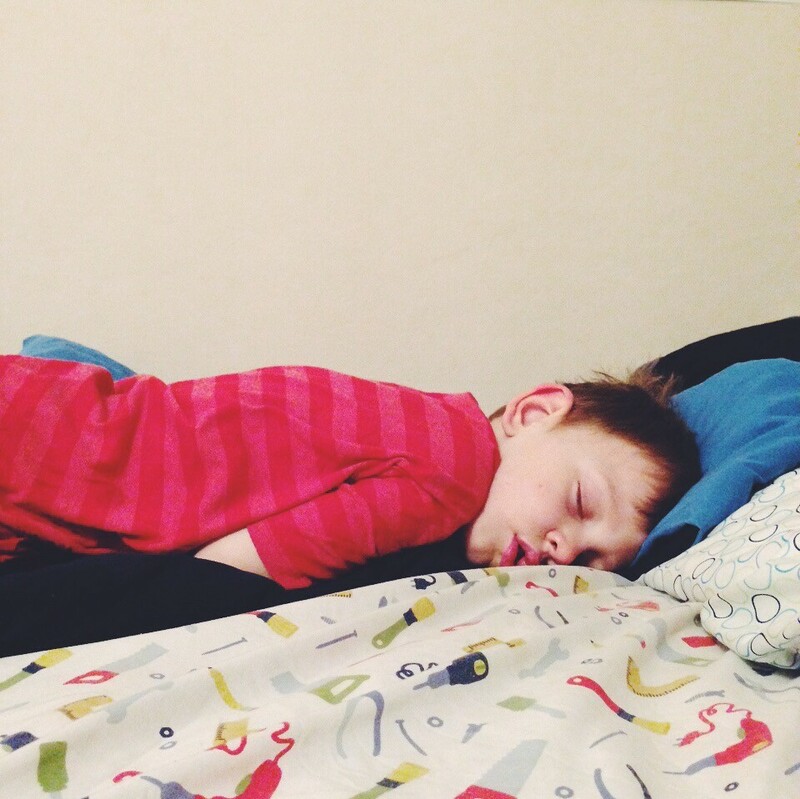 Shortly after we left for our date tonight, Rachael texted us this photo (below) of Titus asleep on his bed (around 6:15pm). Apparently he cried after we left and went to his room to calm down (on his own) and a few minutes later this is how Rachael found him. I guess he calmed himself down alright.